It IS possible — and necessary — for white people to engage others in authentic conversation about privilege. There are productive ways to go about it. These five steps we’ve shared before can be applied to the clip “Understanding White Privilege” from the World Trust film Mirrors of Privilege: Making Whiteness Visible. Use this approach to start small and practice leading a group conversation using a short clip as a focal point. No professional training in diversity activity facilitation is required, and these steps can be covered in less than an hour. Gather a few people together and give it a try. Let us know how it goes! Twenty years ago, a group of researchers began tracking the personalities of 1,420 low income children in North Carolina. At the time, the goal was simple: to observe the mental conditions of kids living in rural America. But then a serendipitous thing happened. Four years into The Great Smoky Mountains Study of Youth, the families of roughly a quarter of the children saw a dramatic and unexpected increase in annual income. They were members of the Eastern Band of Cherokee Indians, and a casino had just been built on the reservation. From that point on every tribal citizen earned a share of the profits, meaning about an extra $4,000 a year per capita. Welcome to the age of chronic overwhelm. You know how it goes. A thousand and two unread emails, a gazillion and a half *really important* phone calls to be made, and a to-do list that’s a mile long. This is the age of never-enough, go-go-go, always more to do, learn, fix, and improve upon. And right alongside, we have the age of never-enough-time-to-respond. As a result, so many of us feel beaten down by our busy lives, left to catch our breath in the margins of our lives, without hope for peace, sanity, or a break on the horizon. Sound familiar? You’re so (so) not alone. In this free teleclass, we’ll share 5 powerful practices from Nonviolent Communication, mindfulness, and meditation to help us break the cycle, and re-establish the breath, sanity, and self-kindness that we truly need to sustain our full and overflowing lives. Come as you are, harried and overwhelmed, or cool and calm alike, and let’s together find ways to tap into radical self-care and inner calm. And it won’t be just talk; you’ll leave the class with your own radical self-care plan! 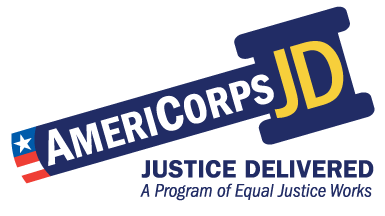 The Equal Justice Works AmeriCorps JD program provides a $1,212 education award to law students who deliver critically needed legal assistance in low-income and underserved communities across the country. Our fall application deadline is October 30. Learn more about the program and application by reviewing our guide. We invite proposals from graduate students to undertake projects in public scholarship in summer 2016. Awards of $6,500 with an additional research budget of $2,000. The Simpson Center invites proposals to attend the renowned Digital Humanities Summer Institute at the University of Victoria, British Columbia. Tuesday, Oct. 20, 3–4:30 p.m. Learn about the application process, including insider tips on what makes for a strong application. Don’t let funding applications deadlines pass you by! Get help identifying and locating funding for grad school expenses including tuition, research, conference and research travel. Support UW Gates Scholar Hilary Hammell’s Organization Bayview/Hunters Point Community Legal’s Campaign to Win $500,000 from Google! Help Support Legal Aid! Four out of five low-income Americans are unable to get legal aid when they face discrimination in the workplace, have their property destroyed or their savings stolen, or confront many other challenges. Bayview/Hunters Point Community Legal is working to ensure that everyone in the local community can get access to civil representation. Over the next 12 months, they will expand this first-ever model to more neighborhoods, protecting thousands of families’ rights. Attention Post Grad Students! AmeriCorps Fellowship Deadlines Fast Approaching! Want to Host A Social Justice Tuesday This Year? Want to host a Social Justice Today this Year? Don’t miss out! Any UW Law student organization can team up with the Center for Public Service Law to host an SJT. There are several postgraduate fellowship positions available with organizations across the country through out Veterans Legal Corps and Employment Opportunity Legal Corps. The fellowships are one-year and will begin in August or September 2015. Host organizations will post more information on positions over the next several weeks, so please continue to check back! The 2016 application is open through September 18. Register for these 2016 Equal Justice Works Fellowships webinars for application tips and to learn about sponsorship opportunities in medical-legal partnerships with special guest, Ellen Lawton of the National Center for Medical-Legal Partnership at GWU’s Department of Health Policy. Each year, the Filipino Lawyers of Washington (“FLOW”) awards up to 3 scholarships ranging from $500 to $3,000 to law students in the Pacific Northwest. The scholarships are intended to recognize law students who have demonstrated significant commitment to community service, particularly service to the Filipino/Filipino American community. You need not be of Filipino ethnicity to apply. Applications must be e-mailed to students@filipinolawyers.org no later than Saturday September 25, 2015 at 5pm PST. Washington, DC – July 29, 2015 – Yesterday, on the 5th Anniversary of the UN General Assembly resolution on the human right to safe and clean drinking water and sanitation, the US Human Rights Network, along with more than twenty U.S. grassroots and national groups, individuals, and universities filed a request for a hearing with the Inter-American Commission on Human Rights (IACHR), a regional human rights commission, regarding the human right to water in the United States. The request is responding to the urgent situations nationwide involving a lack of access to clean and affordable water, and highlights several of those critical situations that represent key water challenges in urban, rural, and indigenous communities. The request includes information on African-American communities in Michigan, Maryland, and rural Alabama, Latino communities in rural California, and Indigenous communities in the Southwest that have been disproportionately affected. Watch the video on the Effects of Solitary Confinement by Colin Archdeacon and Center for Constitutional Rights here. Take a trip to California or find a new way to use that J.D. with these exciting opportunities! AmeriCorps JD is now accepting applicants! We will accept applications through April 15, 2015 from students, who not only work in the priority areas defined below, but who provide service to low-income communities in other areas of law. The 300 service hours required to earn the education award can be completed anytime from when the application is accepted and the background check has been initiated through August 31, 2015. PRIORITY AREAS: Priority will be given to applications from students who are serving veterans, military families or victims of disasters, or focusing on removing barriers to employment or housing. However, we also have many spots available for students working with other populations and in other areas of law. You can also learn more about organizations and the legal services being provided for veterans, disaster, and employment issues by viewing our Fellow profiles on our website. The AmeriCorps program, under the Corporation for National and Community Service, has a list of prohibited activities that cannot be included in the hours of service completed to earn the Segal AmeriCorps Education Award. A list of these activities can be found here. Students serving in the priority areas or other issue areas may apply now through Wednesday, April 15, 2015. Visit our website for more information about the application process. Questions may be directed to AmeriCorpsJD@equaljusticeworks.org. UW Law Students: Re-ignite your Social Justice Heart and Vision at the Annual Trina Grillo Retreat in Sunny Santa Clara, CA! The Trina Grillo Retreat at Santa Clara Law (March 20-21, 2015) provides a unique opportunity for public interest and social-justice oriented law students, faculty, and practitioners to forge an alliance by exchanging viewpoints, exploring career opportunities, and formulating strategies for social justice. Join with law students from several west coast law schools to re-imagine the next generation of social justice lawyering. Funding up to $250 in reimbursement is available for UW Law students interested in attending. Send a letter of interest and resume to mestorms@uw.edu by Feb 20 noon if you would like to attend. Please don’t forget to fill out and pass on Equal Justice Works’ quick survey about the effect of Public Service Loan Forgiveness (PSLF) on your career. While they hear anecdotally how critical PSLF is to making long term public interest careers possible, there is little hard data on the program’s impact. If Congress does propose capping the amount of forgiveness borrowers can earn, this data will be invaluable in helping Equal Justice Works and a coalition of interested groups advocate for it. The deadline for completing the survey is March 2, but please complete it as soon as possible in case Congress acts sooner. Thank you for your help on this urgent issue! Keep Up To Date on Student Debt Issues! 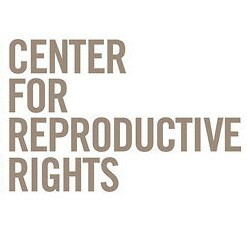 Worker’s Rights Attorney Position in Upstate New York Deadline Extended to 9/8, Due TODAY! Empire Justice is a statewide, multi‐issue, multi‐strategy non‐profit law firm focused on improving the “systems” within which poor and low-income families live. With a focus on poverty law, Empire Justice Center undertakes research and training, acts as an informational clearinghouse, and provides direct representation and support to local legal services programs and community based organizations. As an advocacy organization, we engage in legislative and administrative advocacy on behalf of those harmed by poverty and discrimination. As a nonprofit law firm, we provide legal assistance to those in need and undertake impact litigation in order to protect and defend the rights of disenfranchised New Yorkers. The Workers’ Rights Attorney will represent individuals and groups of low-wage and immigrant workers in the Genesee Valley region in wage theft and related claims. The Attorney will work with community organizations and worker centers to develop effective strategies to address wage theft and other forms of workplace exploitation. Under the direction of the HoO, represent UNAMA in official meetings with local authorities, communities and organizations; and Perform other duties as required. We are currently seeking 10-20 or so preferred law students to put in a minimum of 15-20 hours a week at $12/hour for the next 2-3 weeks. We have compiled a team of approximately 90 law students from the Phoenix, Tempe, Tucson, Portland, St. Louis, Los Angeles, Chicago, and Boston areas. The position requires law clerks to conduct document coding and data entry into a main database used for class certification, export report comparisons, and class notice. Students may complete the work remotely. Candidates must be detail-oriented with the ability to learn and produce quickly. While there is potential for additional work after the completion of this project, there is no guarantee of any amount of work assigned to any contracted candidate. Interested candidates should submit a resumé and availability immediately to David Pierce Uffens at David@dpierceassociates.com. Pilot Introduction and Evaluation of Sayana Press is a four-year project funded by the Bill and Melinda Gates Foundation. Sayana Press (SP) is an innovative subcutaneous injectable contraceptive. The project will facilitate the introduction of Sayana Press in four countries: Senegal, Burkina Faso, Niger and Uganda. The project aims to make Sayana Press available through routine health service delivery channels and build the evidence base for global decision-making about whether and how to include Sayana Press in family planning programs in the future. Looking beyond the current introductions, the project also plans to work closely with ministries of health in Senegal and Uganda to build the evidence base on issues such as the operational feasibility and cost-effectiveness of Sayana Press self-injection among women. PATH is currently recruiting a Program Administrator (PADM) for the Pilot Introduction and Evaluation of Sayana Press project. Information) in the HIV/AIDS Multisectoral Office. The incumbent serves as the Public Health Specialist (HIV/AIDS Strategic Information). S/he is a senior program specialist and key public health advisor responsible for HIV/AIDS Strategic Information (SI) activities within USAID/Zambia. S/he works at a project management level with government ministries, implementing partners, non-governmental organizations, contractors and grantees to coordinate the design and ensure appropriate, high quality implementation and strengthening of monitoring and evaluation (M&E) systems and evaluation projects as defined in the Country Operational Plan (COP). S/he also has duties and responsibilities in health management and information systems program management. Equal Justice Works 2014-2015 AmeriCorps Legal Fellowships Now Open! Our AmeriCorps Legal Fellowship positions are filling up! This year, we have positions available for our Veterans Legal Corps, where Fellows will provide legal services in a variety of issue areas to veterans and military families, and Employment Opportunities Legal Corps, where Fellows will work to reduce legal barriers to employment for disadvantaged populations. Most fellows will have an option to renew for a second year, contingent upon continued funding. Fellows begin their one-year term between August 1 and September 30. Host sites began posting positions in late June, and most available slots will be filled this month. For a list of positions, click here and here. For an updated list of sponsor preferences, click here. Puget Sound Sage is seeking an Executive Director who is a values-driven, visionary and strategic leader committed to furthering economic, racial and social justice. Sage holds a central role in forging ground breaking change in the Northwest, reflected in recent victories to increase the minimum wage, ensure paid sick and safe time, and advance affordable housing, equitable development, environmental justice and community benefits agreements. Our success is measured through winning campaigns, but also long-term movement building, including the length and depth of true alliances between labor, immigrant rights, housing, and environmental- and faith-based partners. Sage’s board and community partners represent tens of thousands of constituents in the Puget Sound region, creating a unique capacity to create large-scale synergy for social change. And our staff team possesses a potent combination of research, organizing and racial justice analysis skills, deep union roots, broad community networks, and environmental leadership. The Campion Advocacy Fund is seeking a politically savvy campaigner, with excellent communication skills and a well-honed understanding of Washington State’s progressive landscape, to serve as our Homelessness Program Director. Ending homelessness and protecting wilderness—Campion Foundation’s keystone goals—require policy change and political action. We cannot buy enough housing to end homelessness, nor can we purchase the remaining public lands. Rather, we must use a variety of different vehicles to influence the public sector. By supporting a range of high-impact advocacy strategies, delivered through the creative collaborations among our experienced staff, risk-taking trustees and visionary nonprofit leaders, we can do far more than any of us can accomplish working alone.